Brief Description of Subject: Book of Ruth Chapter 3, Verse 15. Doves flying overhead in “turret” top. 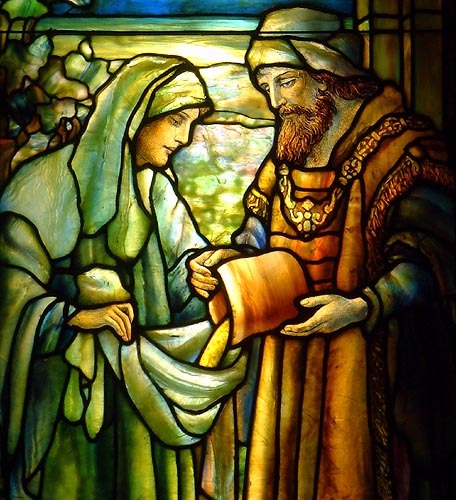 Ruth receiving barley from Boaz.